Marcus Egusquiza climbs to 17th place on the individual leaderboard on Monday, while Brooke Cramer tops the Warrior women in 23rd place. HAYDEN, Idaho — Marcus Egusquiza cut eight strokes in the second round, climbed into 17th place out of 51 on the men’s individual leaderboard, and finished as the highest-ranked Walla Walla Community College golfer at the North Idaho Northwest Athletic Conference League Match here on Monday. Egusquiza shot a 3-over par 75 in second-round action — ending the two-day tournament with a 14-over 158 — as WWCC men finished last among the 10 teams with a 684, trailing ninth place Grays Harbor by 22. 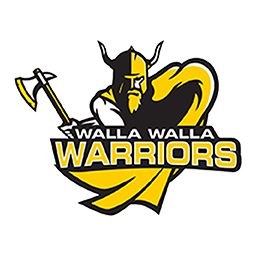 Wa-Hi grad Brooke Cramer topped the WWCC women in 23rd place, among the 47 individuals, with an 87-94—181 as the Warriors’ combined 554 was seventh out of the eight teams, beating Highline by 23. “This league event concluded under threatening skies, mixed bag of cold, wind, rain, and the occasional sun burst,” Warriors coach Mike Rostollan said. 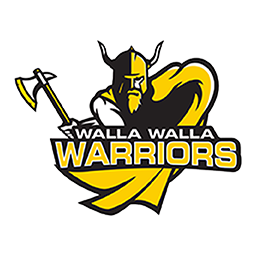 The Warriors play Avalon Golf Course at Skagit Valley on April 29-30 for the third of four league tournaments. North Idaho led the men’s tournament here, both among teams and individuals. Sean Langham paced the Cardinals, cutting three strokes in the second round for a 2-under 70 to finish first with a 1-under 143. The Cardinals together posted a 596, beating second-place Bellevue by 17. Egusquiza birdied two holes in the second round, and ended up with the top card among WWCC men. Teammate Conor Lees finished in 23rd place with a 79-82—161. The Warriors also had Austin Khile 37th with an 82-86—168, as Wyatt Utt posted a 101-96—197. Meanwhile, likewise, Columbia Basin topped the women’s charts with teammates Brianna Esvelt and Breanna Watts taking first and second place respectively — Esvelt shot a 79-80—159 to finish four strokes ahead of Watts. Columbia Basin turned in a 493, beating second-place Spokane by 18. For WWCC, Cramer ended up one shot up on teammate Brooke Orr. The Boise-native posted an 89-93—182. The Warriors also had Camryn Box shoot a 100-91—191, while Dayton-grad Ally Chapman added a 114-116—230.